Kristin Diehl is Associate Professor of Marketing at the Marshall School of Business, University of Southern California. She joined this USC from “the” (other) USC, the University of South Carolina, where she started her faculty career. Kristin graduate with a Ph.D. in marketing from Duke University after she had earned her Diplom-Kauffrau degree from the Johannes Gutenberg Universität in Mainz, Germany. Kristin’s research focuses on two areas: 1) how consumers search for and use information when search costs are low, assortments are large, and recommendation tools may be available. 2) how people anticipate, experience, and remember events that unfold over time. In particular, she is interested how taking photos during such events affects enjoyment and memories of the experience. 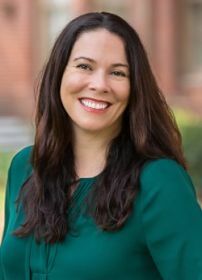 Kristin has published in journals such as the Journal of Consumer Research, Journal of Marketing Research, Journal of Marketing, the Journal of Personality and Social Psychology, and Psychological Science. In 2010 she received the ACR Early Career Award. Kristin served as Associate Editor for the Journal of Consumer Research (2013-2018) and the International Journal of Marketing Research (2012-2015). She currently serves on the Editorial Review Boards of the Journal of Consumer Research, the Journal of Consumer Psychology, and the Journal of Marketing. Kristin has been an active member of ACR since presenting her first poster in 1999. She co-chaired the 2015 ACR Conference in New Orleans and the Poster Track of the 2010 ACR conference. She has served on numerous ACR program committees (2006, 2009, 2011, 2013, 2014, 2017 & 2018) and participated in several ACR Doctoral Symposia and Mentorship Workshops as invited faculty. ACR is an organization Kristin values highly for its ability to bring together different researchers and their current ideas and she would be excited to help assure ACR continues to serve that function in the future.